A crimson sunbird perched among red gladioli. If that isn’t camouflage, what is? Find the bird! Naukuchiatal, Uttarakhand, India. Beyond the garden adorned with flowers of various hues lies a calm lake. Surrounded by gently sloping hills. A man rows a small boat across, creating beautiful patterns of ripples. Welcome to Naukuchiatal, the lake with nine corners. A garden and a lake beyond. Naukuchiatal, Uttarakhand, India. Of forests and mountains. Mukteshwar, Uttarakhand, India. Where you can forget about “to-do” and “to-see” lists. Where you can leave watches and phones behind. Where you can (temporarily, at least) disregard worry and hurry. Where you can set out to stroll with no specific destination in mind. Where you can pause on a narrow village trail to gaze at the beautiful valley below. Where you can rest your feet at a small tea stall and engage in a lively conversation with a local resident. A panoramic view of the Himalayan peaks, even at midday. A quiet walk along a forest path surrounded by tall pines. A variety of fruits in hillside orchards. Ranikhet, which means Queen’s Meadow, has a string of delightful experiences in store. Of forests and mountains. Ranikhet, India. My Country, My Flag. The cantonment town of Ranikhet. Uttarakhand, India. The cantonment town of Ranikhet in Uttarakhand is easily accessible from Almora. The alarm rang a bit too loudly; I staggered out of bed to turn it off. It was a little after 4 a.m. A bit later, B, Junior, and I trooped out of the room, sleepy but excited. On the terrace, a few people had already arrived. We found ourselves some seats and waited with anticipation. Junior pulled his cap over his ears to keep the chill away. More folks arrived at the scene, some wide awake, others half-asleep. Katarmal Sun Temple, Almora, Uttarakhand. The priest unlocked the small door to the chamber housing the main deity. As we waited, he opened the door to give us our first glimpse of the idol of the Sun God. We were the only visitors at the 9th-century Sun Temple on a remote hilltop near Almora town. A bumpy car ride from Kosi village followed by a short hike had brought us to the Katarmal Surya Temple. You have visited the Naina Devi temple, strolled along Thandi Sadak, enjoyed a boat ride in the lake, and explored Uttarakhand’s flora and fauna at the Himalayan Botanical Garden and the Nainital Zoo. What next? In the mood to be airborne? And get a panoramic view of Naini lake from up above? Head to Snow View Point! This place can be reached by road or by a ropeway starting at Mallital. Hidden from View. Himalayan Botanical Garden, Nainital, India The Himalayan Botanical Garden and the Nainital Zoo (Pandit G. B. Pant High Altitude Zoo) top our list of favorite places in Nainital. If you love the outdoors, enjoy a hike (warning: moderately steep slopes included), and are curious about Uttarakhand’s flora and fauna, Nainital has two special attractions that definitely merit a visit. 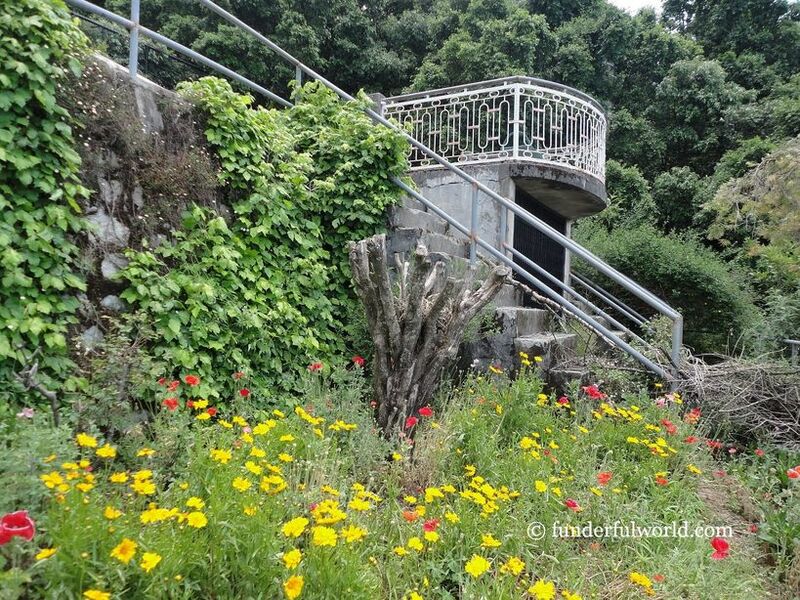 Wildlife, Scenic Views, and a Quaint Temple at the Nainital Zoo (Pandit G.
Nainital, Uttarakhand, India. The Journey: We took the night train from Dehradun to Kathgodam. A refreshing cuppa tea at Kathgodam railway station helped to drive away the groggy feeling in my head. And then, we hopped into a taxi that took us along winding roads in the hills to our destination, Nainital. Inside Nainital, the roads were as scary as they could get. As I clenched my fists and muttered every prayer that came to mind, the taxi driver zoomed up and down the narrowest of paths and the steepest of streets in an attempt to locate our hotel. On our summer vacation to Uttarakhand, Dehradun was first on the itinerary. We spent a few days exploring this city in the Garhwal region. Mindrolling Monastery. Dehradun, Uttarakhand, India Start at the Heart The Clock Tower, known as the Ghanta Ghar, is a popular landmark in the heart of Dehradun. Several major roads intersect at this location. If you are a shopping enthusiast, head to the Ghanta Ghar and walk to Paltan Bazaar, a busy market nearby.